A lot of phone and computer manufacturers are spiking up their audio offerings with Dolby sound and Beats Audio, but HTC is taking it to a new level. Today, the smartphone maker announced the HTC Sensation XE, a 1.5GHz dual-core Android phone with a big Beats logo on the back and special Beats earbuds. 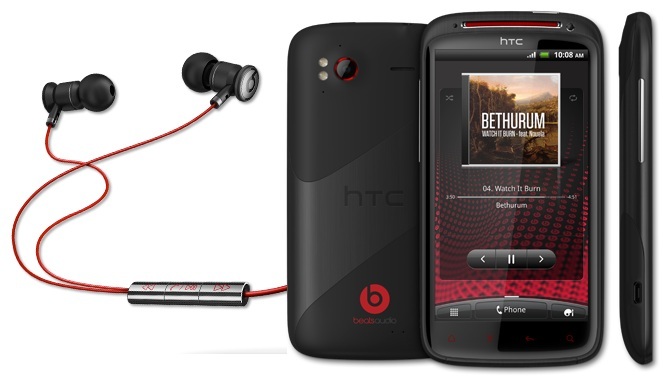 The company says this is just the first of many phones to feature Beats by Dr. Dre. Currently, the Sensation XE is only headed for Asia and EAMA (Europe, Africa, Middle East), but a U.S. release is likely at some point. We hope that HTC includes 4G connectivity for its American debut. The question is, can Beats by Dr. Dre really sell a phone? HTC has a good chance here because it looks like a good phone, but it’s hard to say if many people will pick up a device just because of its audio. Those who are really into sound usually pony up for expensive beats headphones, which seem to be fairly trendy right now. Would you buy a phone with Beats Audio? Does it influence your decision?